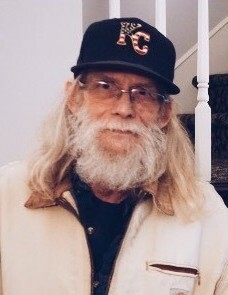 David Franklin Gruner, 58, of Kansas City, Missouri passed away on March 18, 2019 at KC Hospice House surrounded by family. David was born on February 15, 1961 in Kansas City, Missouri to Gerald and Dorothy Gruner. He graduated from Ruskin High School in 1979. Dave went to work for O’Brien Partition as a carpenter and later retired from MSI Construction, having a career in carpentry for over 30 years. During his career, he was a member of the Carpenter’s Union. Most that worked with him likely remember him as Goob, which was a nickname he had for years. He will be remembered for his love of working on cars and motorcycles, having fun and enjoying life with his friends, while usually telling a good story. David was a very caring, loving, and devoted father and grandpa. He always had others best interests at heart. David was preceded in death by his parents. He is survived by his children: Colton Gruner and Ashley (Marcos Alvarado) Gruner; his granddaughter, Aalyiah Alvarado; his sister, Karen (James) Hopper; his brother, Phil (Kim) Gruner; and several nieces and nephews. A memorial service will be held on Saturday, March 23rd at 3:00 pm, with a visitation beginning one hour prior at 2:00 pm, all at Longview Funeral Home, 12700 SE Raytown Rd, Kansas City, MO 64149. A private inurnment will occur at a later date in Longview Cemetery. Memorial donations are suggested to KC Hospice House, 12000 Wornall Rd, KCMO 64145.